Hello friends! I’m traveling and teaching this weekend – including a Bible journaling class. Figured it’s as good a time as any to share another technique for my fellow Bible artists! 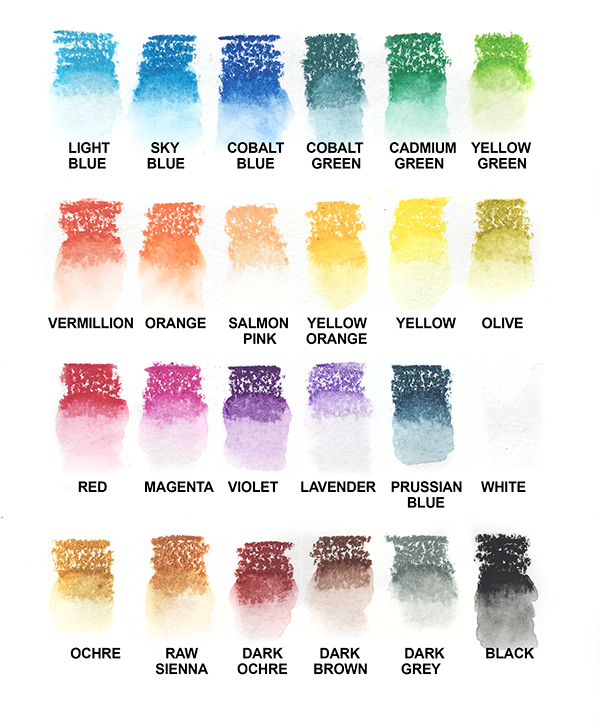 While I created images – though simple ones – this technique can also be used for simple color washes. It’s much faster than many other mediums, and can create a textured look like this, or a softer watercolor look that you can see in the early stages in the video. Watch the video below or click HERE to see it in HD on YouTube. That is so beautiful Sandy! Thank you for sharing your encouraging message too. Sandy, I feel like I’ve had my own devotion just listening to you, and watching you create today. Thank you so much for sharing your art and your heart. Thank you so much for sharing that verse, I love that you read it to us. It was definitely what I needed to hear with what is going on in my life right now. I can’t wait for God to reshape me!!! That is beautiful art for a beautiful Bible journaling message. I loved seeing how a baby wipe just “melted” the oil pastels into beautiful colors. Now I may have to try this! What size pen is the black one you wrote the words Reshape Me with? It was a brush pen by Micron. Just lovely as is the ‘message’. Your message was very powerful to me and it will be remembered during my life and beyond since I try to pass on gems like this whenever I can. Thank you for sharing and your instruction for these oil pastels.